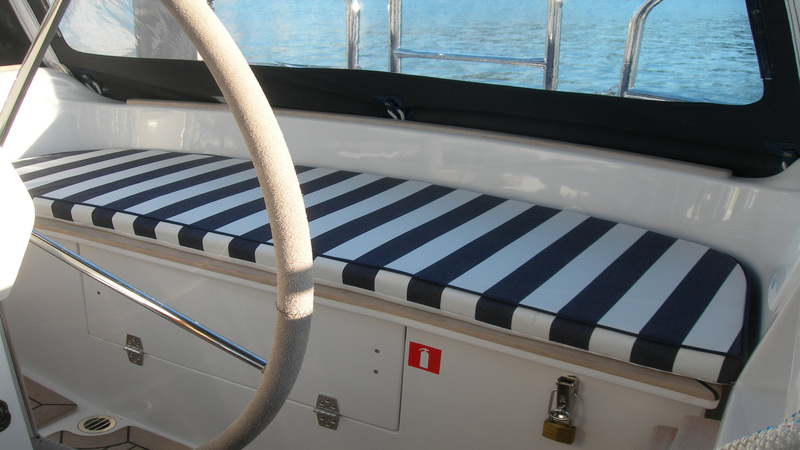 Boat cushions, made to order in a wide variety of fabrics. 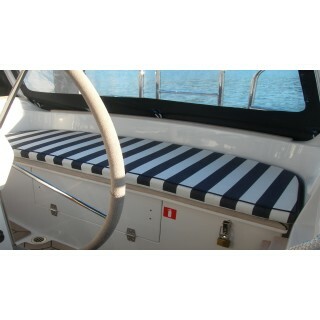 This is a new Malo 40 with a set of bespoke cockpit cushions in a PU coated acrylic canvas. 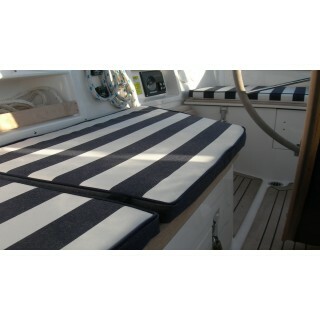 Also shown are a set of interior boat cushions in a marine blue ecosuede. Both sets shown have had the optional piping fitted to the cushions. New or replacement foam cut to order.